Saturday Trent and I went to his brother Shane's for our nephew Sam's 7th birthday party. 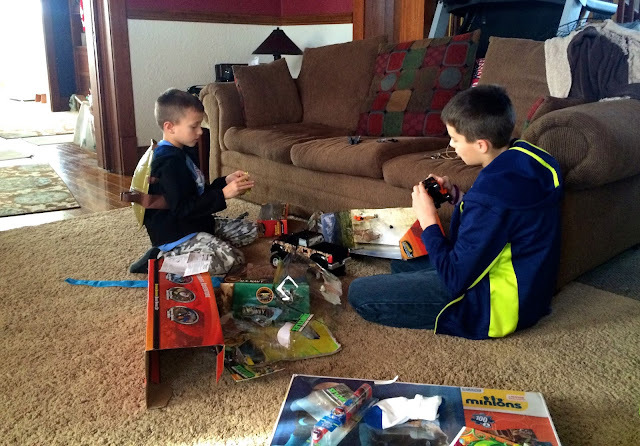 I've pretty much concluded that when you're 7 you are excited about every gift you receive. At least Sam was. He even wanted his picture taken with the socks and toothbrush he got. 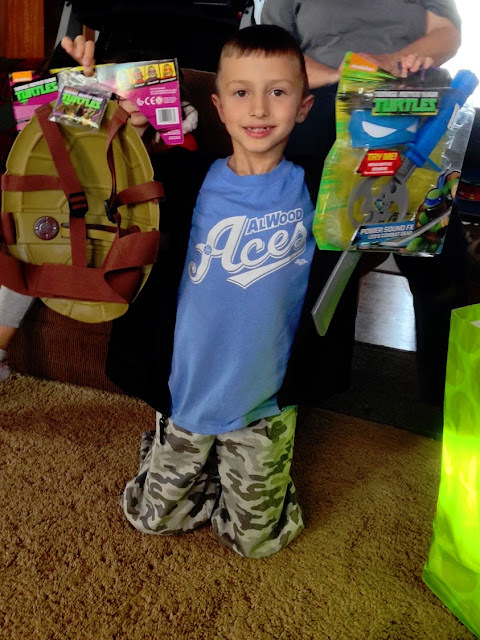 When we asked Shane what Sam wanted, he said he liked anything Teenage Mutant Ninja Turtles, Minions, or Legos. 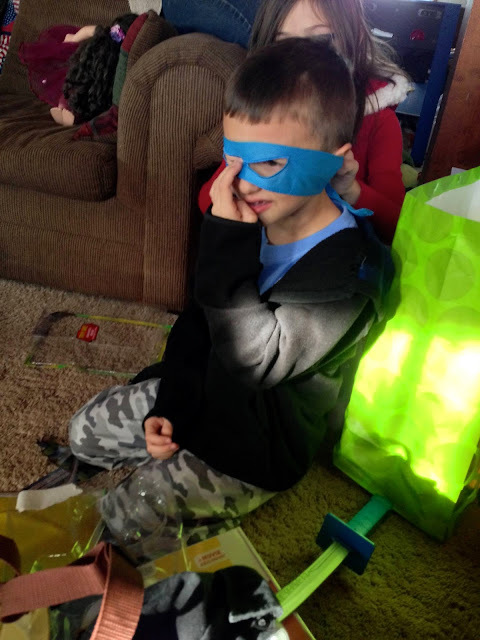 So naturally we got him a Ninja Turtles shell that he can wear on his back, and a TMNT ninja sword that makes noise, so he can be just like Leonardo. I think it was a hit, because as soon as he opened it (before he opened the card no less), he said he saw a commercial for these and he had said he wanted them. And Leonardo is his favorite. I can only credit Trent for picking the gift out, though. He said he would want it if he were 7. He immediately put on all of the items and wore them the rest of his birthday party. 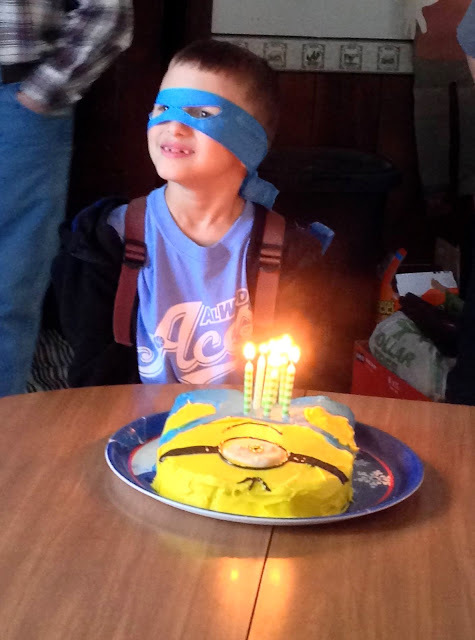 It was pretty cute - he was even a ninja turtle while he blew out the candles on his Minion cake. With 6 kids around the house the fun never ends there, I'm sure. I'm off to Pittsburgh for a work conference tomorrow and will be back on Saturday! Have a great week, everyone!